As quilting is brand new we thought we'd talk you through every aspect of how to do it in a simple step by step guide. As with many things we've had it looks a lot more complicated than it really is and I'm sure after placing a couple patches folks will find it as easy as falling off a log. 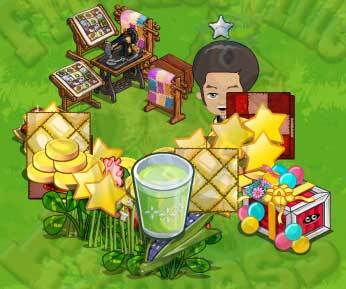 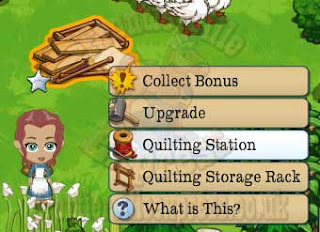 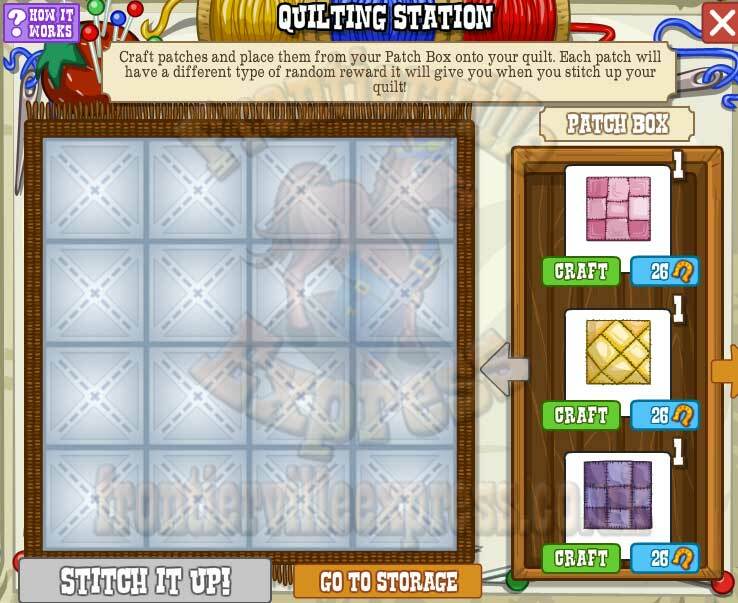 1) You begin making your Quilt with the "Quilt Station" option in the menu. 3) Simply click the patch you wish to place on the right, and move it to any of the 16 squares in your Quilt, or place back in the Patch Box if you've made a mistake or change your mind. 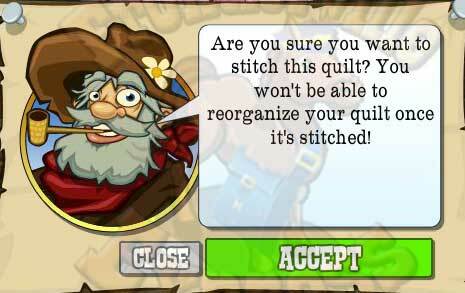 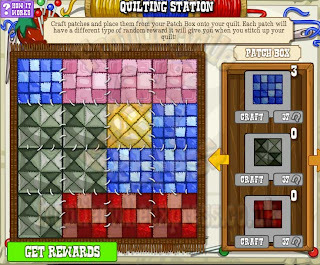 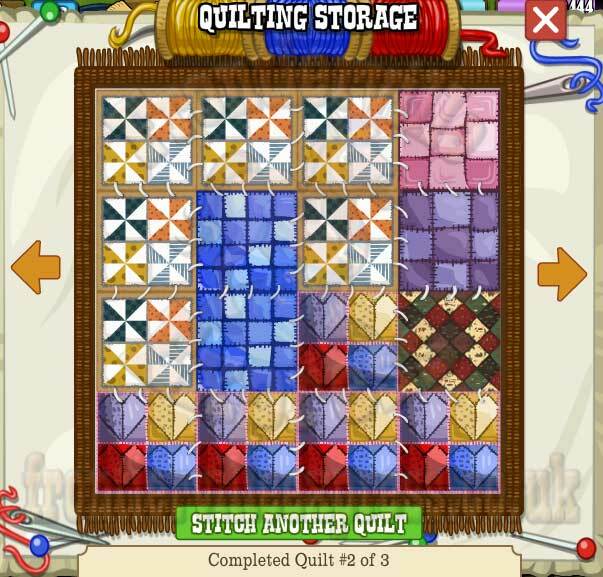 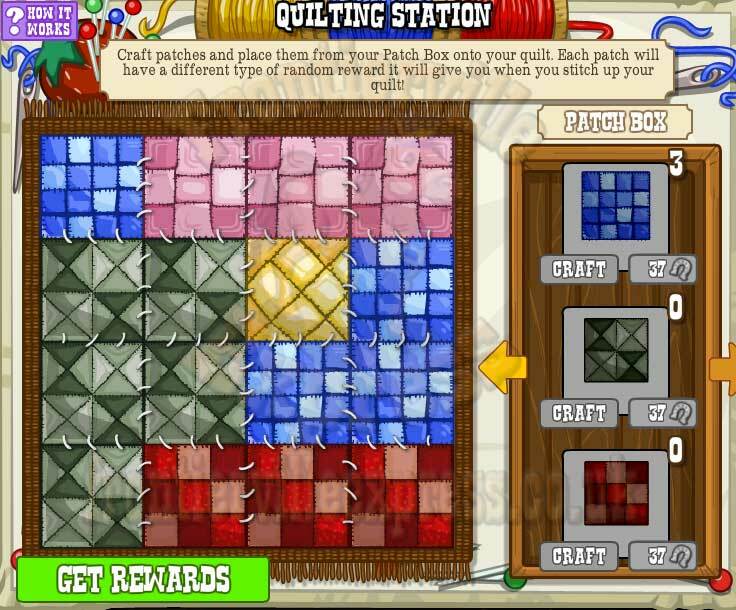 4) When all 16 squares are full, click "Stitch It Up" to complete your Quilt. 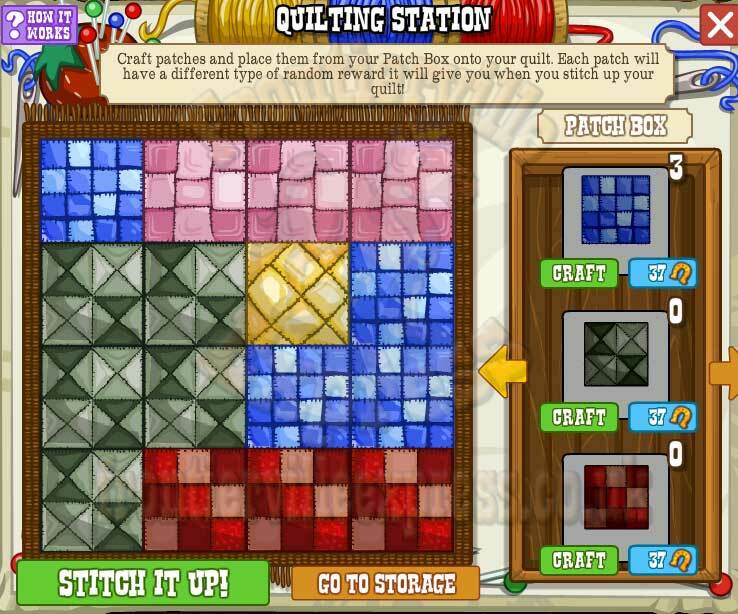 5) WARNING: Stitching your Quilt completes it and no more changes can be made. 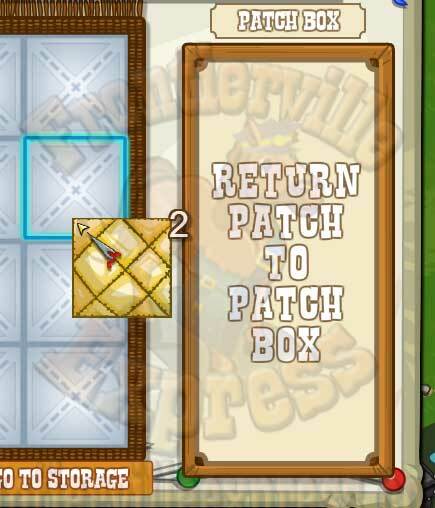 8) Here you now have two options.